This particular vigilante practice is perhaps most commonly associated with the American Revolution, when patriots tarred and feathered British officials and loyalists. Historian Benjamin H. Irvin writes that tarring-and-feathering became so popular during the conflict that colonists developed several different variations on the practice. They occasionally tarred and feathered property rather than people, or, in the case of one group of women, used molasses and “the downy tops of the flags that grew in the meadow” (probably milkweed fluff) as a symbolic equivalent. 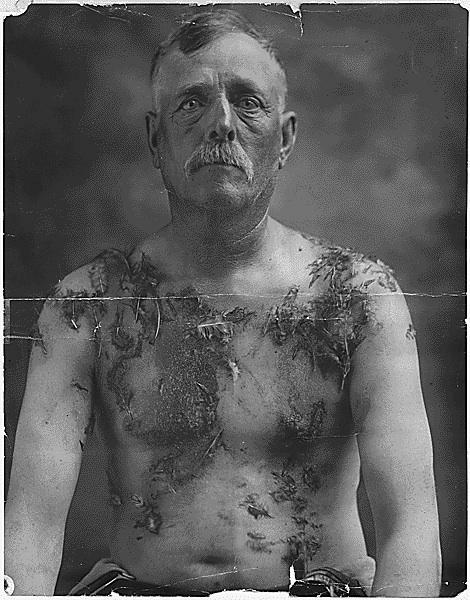 The group that kidnapped Meints from his home in 1918, drove him to the South Dakota-Minnesota border, whipped him, applied tar and feathers, and ordered him out of the state, may have been using this practice as an explicit reference to the Revolutionary period. The evidence was overwhelming in support of the contention that Meintz was disloyal and that there was a strong feeling against him in the community. Indeed, when the defendants returned to Luverne, the Tribune reported, the whole town turned out to celebrate. Meints appealed, and eventually settled out of court for $6,000. 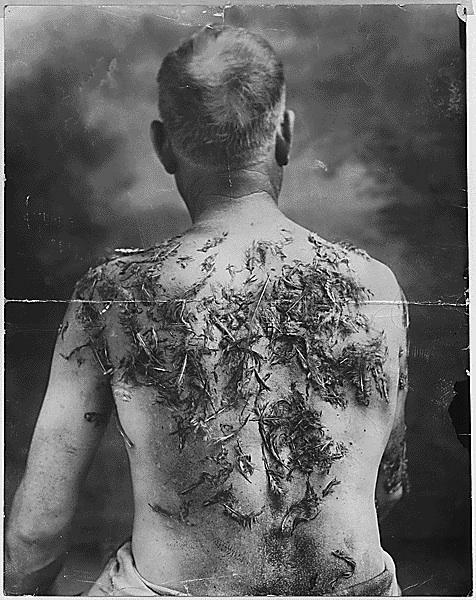 Twentieth-century tarring and feathering persisted in isolated pockets in the United States, with the KKK amongst its enthusiasts. And in France, some women suspected of fraternizing with German soldiers were subjected to the practice upon liberation. National Archives, Records of the District Courts of the United States. *Correction, June 11, 2018: This post originally misstated that Prager was lynched in St. Louis. It was in Collinsville, Illinois.